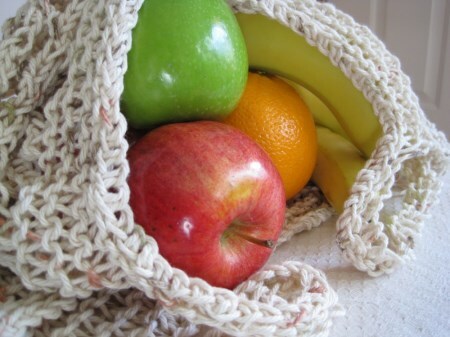 Scrunchable european style market bag is knitted in 100% USA grown cotton. Seamless construction in a natural oatmeal shade with earthy color flecks. Stretches and shapes to hug your groceries. Reuseable bag + walking to the local farmer's market = tres chic. Bag measures 14" x 18" with 10" straps.